It all started with a simple idea, recalls Melissa Velez. Like many Americans, the graduating social work major at Rutgers University–Camden had watched the nonstop coverage of Hurricane Maria’s devastating impact on Puerto Rico. Melissa Velez (left) and Kayla Bertrand paint a church that was affected by Hurricane Maria. But rather than turn the channel, she was determined to do something about it – something personal. In the months to follow, the Camden resident helped to organize an “alternative spring break” in Puerto Rico, where a contingent of Rutgers–Camden students and staff would help to remediate a church affected by the storm, made monetary donations to victims, and learned about ongoing issues of poverty and homelessness that continue to plague the commonwealth. As far as she sees it, says Velez, it doesn’t take much to show someone you care, but a “hand up” can make all the difference in someone else’s life. It’s a mindset that Velez had to learn the hard way, remembering a not-so-distant time ago when she, too, had next to nothing. However, with the encouragement of a pivotal person in her life, she was able to get back on track and move in the right direction. As she recalls, growing up in Vineland, she and her younger brother were often left to fend for themselves as their parents battled substance-abuse problems. The teenagers ended up living with friends before going their separate ways, their sibling bond strained by the constant tension. 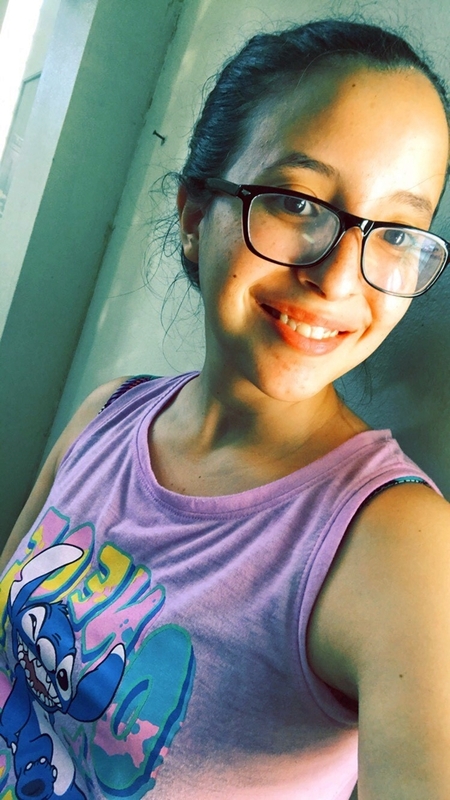 By her sophomore year at Vineland High School, Velez was regularly missing classes and, when she did go, she admittedly wasn’t as respectful to her teachers as she could have been. So she was asked to leave for good. Velez credits Rutgers–Camden mentors for pushing her to her limits. After turning 18, Velez signed herself back into school. It was then that she got the support and advice of a guidance counselor who helped her to change her outlook and convinced her that a brighter future lay ahead, if only she believed in herself. “It was a whole new perspective that I didn’t have before,” she says. After graduating, Velez attended Cumberland County College in Vineland for a semester before arriving at Rutgers–Camden in spring 2015. Living in the dorms, she says, she had a stable, home environment unlike anything she had known before, not to mention a host of exciting, new social and academic opportunities just outside her door. “I learned to come out of my shell and get involved,” she says. In her social work classes, Velez learned a great deal about the many policies and policy issues related to her field. She saw these policies up close and personal when she served an internship with the New Jersey Department of Children and Families’ Child Protection and Permanency. Working out of the agency’s Camden South office in Voorhees, Velez shadowed case workers tasked with recognizing signs of abuse and neglect and, if need be, removing the child from the home. Naturally, it hit close to home for Velez. Velez also got additional, personal support at Rutgers–Camden via the Educational Opportunity Fund and TRiO Student Support Services, dedicated to supporting low-income and first-generation students. In time, she was returning the favor, serving as a peer mentor for undergraduates in the Center for Learning and Student Success, located on the second floor of Armitage Hall. In her students, she saw herself, and wanted to give them every opportunity to succeed. Her work didn’t end there. From people such as Ana Rodriguez, assistant director of TRiO, says Velez, she learned to never stop challenging herself. Such was the case when Velez approached Rodriguez about planning the service trip to Puerto Rico. Velez, Rodriguez, and eight fellow students proceeded to raise more than $4,500 to sponsor the flight, lodging, and ground transportation, as well as $1,000 to make a monetary donation to students from the University of Puerto Rico who lost items in the storm. 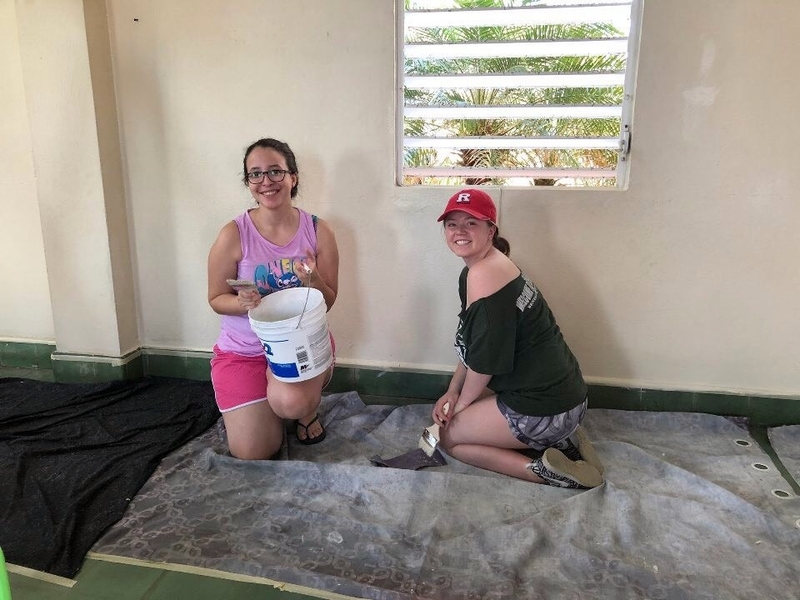 During the March 12 to 16 trip, the Rutgers–Camden contingent spent two days painting a church that was affected by Hurricane Maria. They also visited the University of Puerto Rico to hand deliver letters to students and to make their donation. In addition, the students visited the Centro para Puerto Rico, a community resource center that provides direct support to communities affected by the storm. Velez now hopes that the trip will become an annual tradition at Rutgers–Camden. Upon graduating, the Camden resident plans to earn her master’s degree, in the hopes of one day serving as a guidance counselor or advisor on the high school or college level. Whatever she does, she is fully aware that she has the power to make a difference in people’s lives.